On Valentine’s Day, if you want to give your beloved who lives in India a romantic surprise, this item will be your best option to go for. 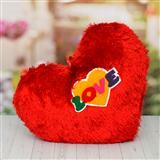 Two teddies, sitting on top of a red colored boat holding a red heart with the words ‘ I Love You’ inscribed on it, will help you to convey your message of love to your dear one. The red colored boat has two swans embroidered on its side. 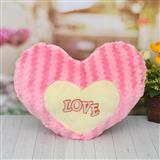 This gives this item a fairy tale outlook which your beloved will be delighted to receive. 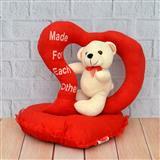 You can also send this adorable item along with Gifts to India to your beloved who lives miles away from you.